Market research databases offer key insights to consumer preferences and behaviors. These choices could lead to a successful product. When developing new products, these databases can increase your return on investment. Companies within the healthcare industry can easily improve their medical SEO marketing with these databases. In doing so, they will also receive a boost in ROI. As a marketing professional, you should have the best database tools available for your campaigns. With the right insights, you can tailor your offering to get the best response from your target audience. In this post, we’ll cover the market research database tools that increase your ROI. B2B market research reports can help you increase your ROI if you want to be a major industry player. These reports provide statistical data necessary for your business to become a success. They provide data on the structure of your industry. They also highlight the most businesses, that you should be targeting. The reports provide data and predictions on where your industry is likely to head in the future. With these insights you can put your business in a good position in the market. This will allow it to reach a large audience that is already receptive to your product. Business pattern analytics provide market research information that can improve your ROI. This type of data is available on a state, county or city level. If you are trying to reach a specific demographic, these databases could provide the trends and patterns of their buying habits and preferences. When business teams plan to attend a tradeshow event in a specific area, they can use such trends to guarantee success at the event. As a result, you can gain valuable insights to improve your marketing efforts based on your findings. For specific or location based customers, research business patterns data and analytics. U.S. Census Data gives you insights into the potential reach of your product. With this knowledge of your market size, you can form a customer segmentation plan that best ensures a ROI. You can use this information to look into the demographics and geography of your area. Using this data, you can research how many people you could expect to become your customers. With this information you will be able to easily market your product to ensure it has the greatest potential reach it could have. Using a twitter analytics platform can give you the information you need to put all of your marketing resources where they are most effective. This can ensure a ROI by removing unsuccessful marketing pushes. After you remove these pushes, you can put your resources where they will be most effective. These platforms show you people who have already shown interest in your product. Marketing directly to these people means more sales of your product. With enough focused marketing these people could become repeat customers, further increasing your profits. Customer case studies can help you ensure a great ROI by collecting your own database of information directly from your customers. This information shows you what your customers like about your business. These studies can give you ideas on what they think would draw more people to your products and services. Popular online stores use them to improve their Ecommerce marketing strategies. After all, the information is beneficial, as it comes from your existing customer base. Leverage your customer case studies with the changes you make to draw in new customers and revenue to your business. Market research databases give you various ways to ensure a strong ROI. 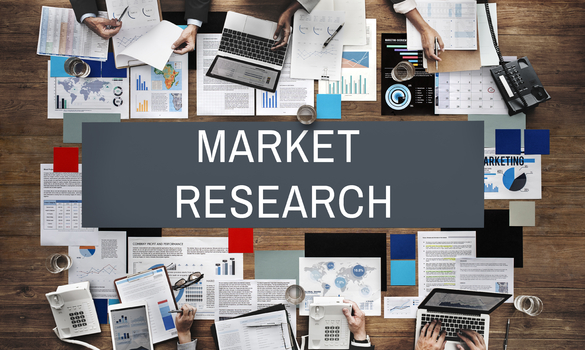 B2B market research reports offer vast amounts of statistical data about your industry. Business pattern analytics lets you see the trends and buying habits of potential customers. U.S. census data shows you the information you need to calculate how many people in your area could potentially become your customers. Twitter analytics platforms make it possible for you to market directly to people who would be interested in your business.Customer case studies let collect your own database of what people enjoy about your business and what the best ways to expand are. Using all of, or just one of these tools is a great way to increase profits and get a ROI.